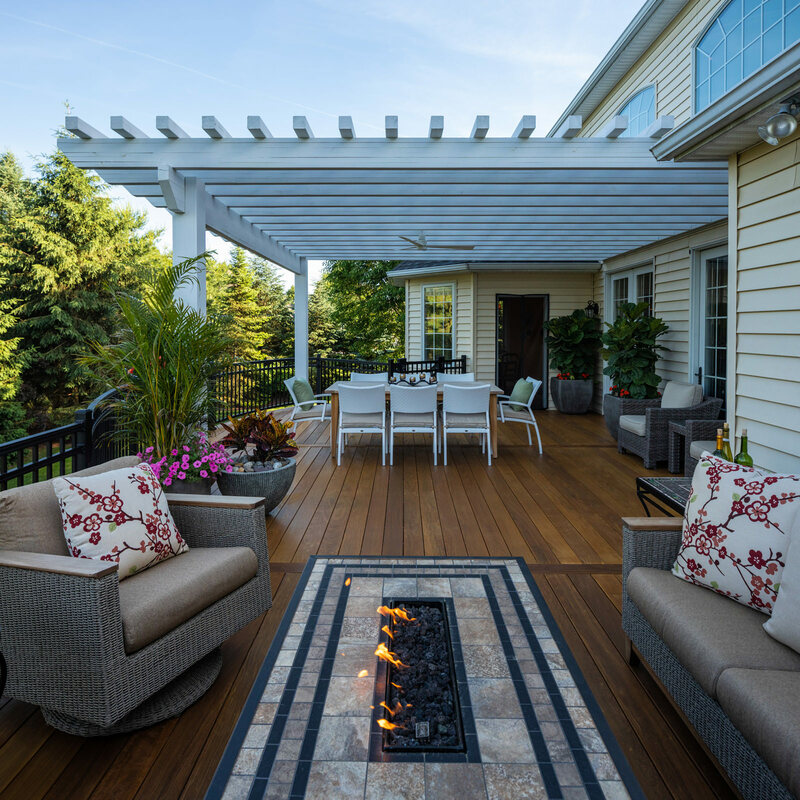 Are you ready to transform your outdoor living spaces, but just aren’t sure what materials are right for your property and your family? When considering new hardscapes, there are a few materials to choose from, but if you are looking for a beautiful, practical and environmentally friendly option, permeable pavers would be a great selection for your property and your project. Permeable pavers are constructed out of concrete, but are separated by joints that are filled with small aggregate stones and sand. Permeable pavers are a smart option for homeowners who are facing impervious property restrictions or are concerned with water conservation and sustainability. Permeable paver hardscapes are solid enough to walk, drive and park on, perfect for patios, walkways and driveways, and with its base of geotextile, sand and stone, it is an environmentally conscious alternative to concrete and asphalt. While concrete and asphalt are durable materials for high-traffic areas, they are not very efficient materials when it comes to storm water and run off. When a storm blows through a highly impervious area, water collects quickly and sheds at a rapid pace. While water is carried away, anything in its way will hitch a ride, such as pollution, garbage and leaves. This debris will find itself in catch basins and storm drains, which do not typically lead to filtration plants. Instead, this water flows into local waterways, which could lead to contamination. When rain water falls, it collects on the surface of the seamless concrete and asphalt, but permeable pavers allow this rain water to infiltrate back into the natural environment through its joints, cleaning, purifying and filtering the water before it enters back into the natural water cycle. Consider this a direct advantage of permeable pavers because infiltration is one of the best things that can be done for water quality in your local watershed. The sub-base and soil underneath the pavers will use its natural capacity to hold and slow water down. This means less runoff, relieving bodies of water downstream, essentially preventing backup, erosion and flooding. All of these characteristics have not gone unnoticed by townships and municipalities. Local rules and regulations vary, but one thing each municipality has in common, is that they have a set percentage of impervious coverage each property within their jurisdiction is allowed to have. Most municipalities, but not all, qualify professionally installed permeable pavers as a BMP (Best Management Practice), aiding in the property’s pervious calculation, possibly eliminating the need for retention ponds or stormwater management systems. Permeable pavers are a built-in solution to managing stormwater pollution, with the added benefits of being aesthetic and adding style and character to your home. Standard concrete slab patios, walkways and asphalt driveways are pretty straight to the point and don’t leave much to the imagination. These features are also prone to stain and crack. When your concrete or asphalt hardscapes are damaged, there is not much you can do to repair these imperfections, but live with it, and replace down the road. Permeable pavers, on the other hand, can be “unzipped”. If a paver becomes damaged or stained, your installer can remove the imperfection, and install a new paver in its place; good as new! These pavers also come in a variety of shapes, sizes, colors and textures. With pavers, you have the ability to mix different colors within the hardscape, you can add a complimenting color border to the walkway, create your own unique design and be as natural or as modern as you wish! Your space can become one of a kind and unique to your own tastes! If we have peaked your interest, but you are still not sure if a permeable paver hardscape is right for you, reach out to MasterPLAN Landscape Design. 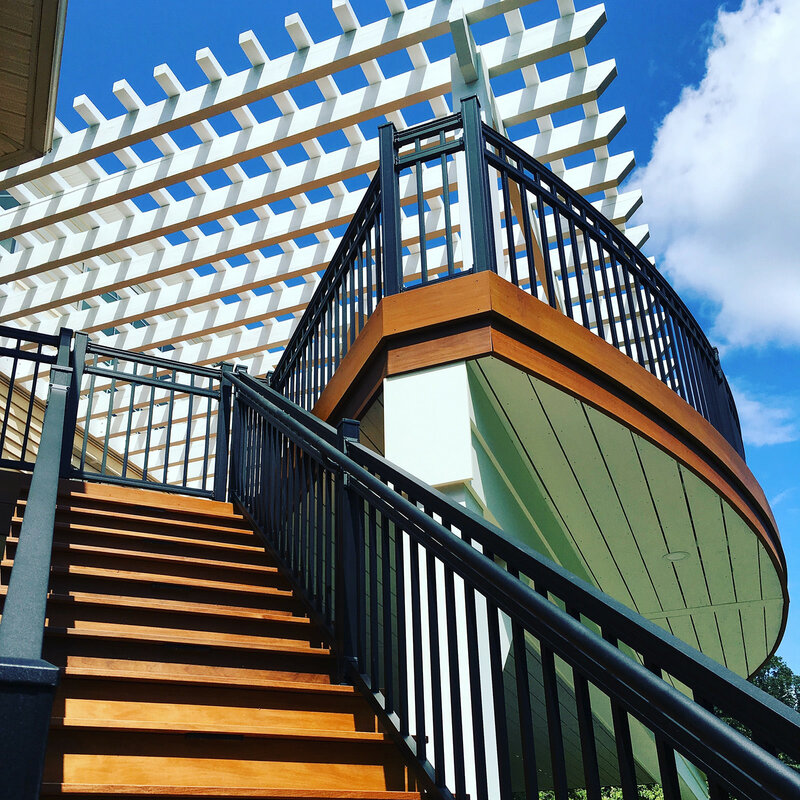 MasterPLAN always has their clients’ best interests in mind and loves to educate and help homeowners make the best decisions for their property and their family. 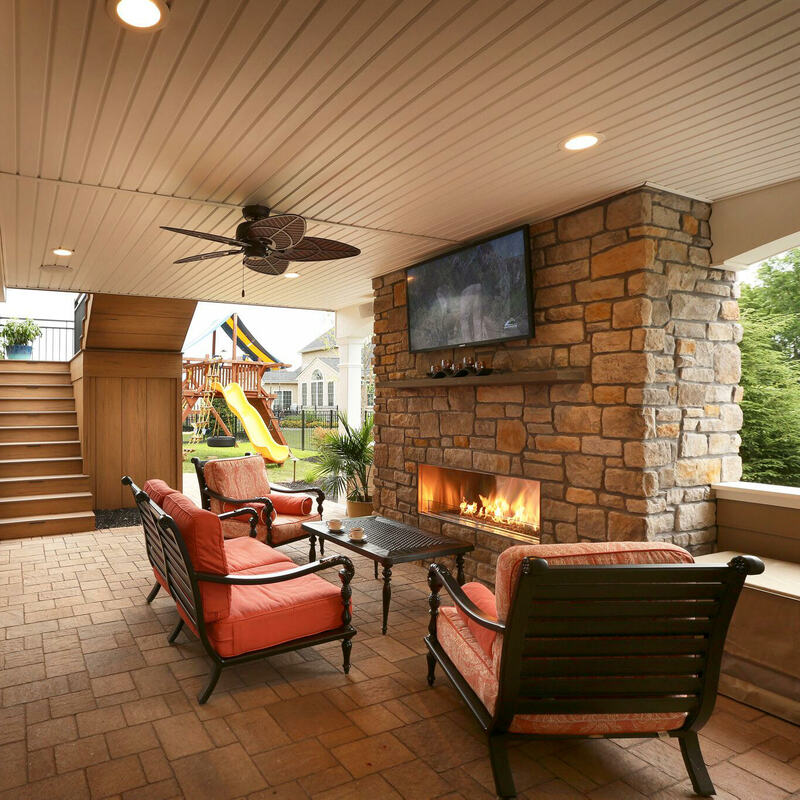 Together, we will find the right solution to your outdoor problems, and create the beautiful outdoor living space that you have always dreamed of. 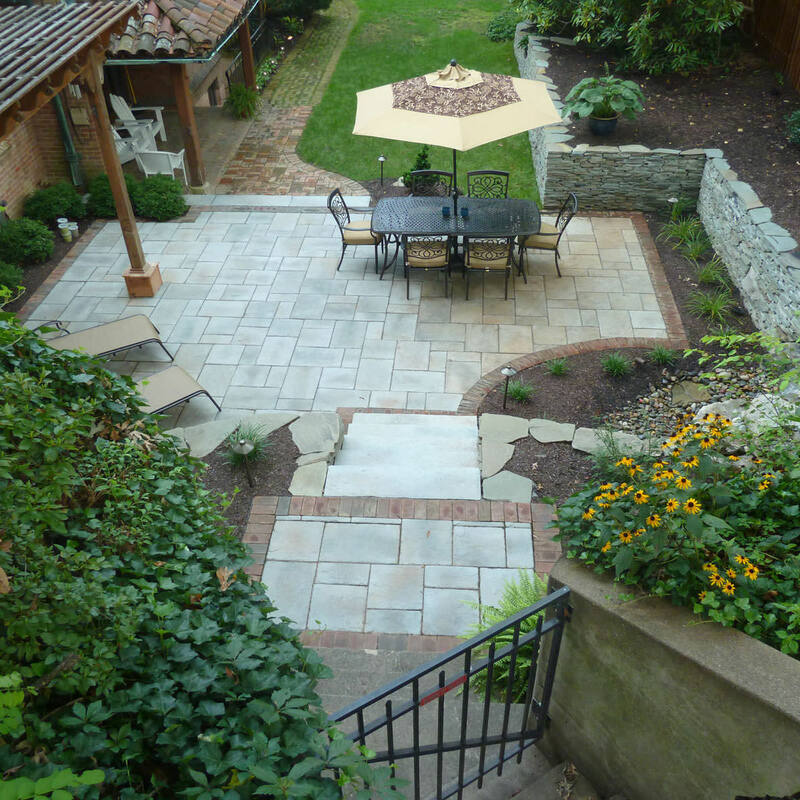 We would love to explore all options for your property and uncover the full potential for your outdoor spaces. Let’s transform your dream backyard into your reality!